UCF will be home to NASA’s Center for Lunar and Asteroid Surface Science (referred to as CLASS) beginning later this year, thanks to a $6 million grant awarded this week to UCF physics professor Daniel Britt. The research center puts UCF on the agency’s space-exploration map. CLASS will provide critical research in areas NASA has identified as key to future robotic and human space-exploration missions. The CLASS was one of nine organizations selected under NASA’s Solar System Exploration Research Virtual Institute program, which NASA announced Wednesday. 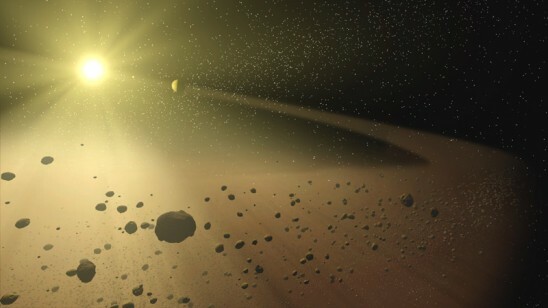 The CLASS will focus on achieving a better understanding of the physical properties of NASA’s exploration of planets and asteroids, and will aid NASA in planning exploration missions to asteroids, the Earth’s moon, the moons of Mars, and to “mini-moons,” asteroids that Earth temporarily captures. Results obtained by CLASS researchers are expected to benefit NASA exploration missions through the 2020s and beyond. Britt is an international expert on out-of-this-world rocks. He is a geologist and physics professor at UCF investigating the properties of lunar and Martian rocks under several NASA grants. Britt also is a former chairperson of the Division for Planetary Sciences of the American Astronomical Society, the largest international professional association for planetary scientists. Additionally, every NASA rover on Mars houses at least one instrument Britt designed to help scientists understand the surface of the Red Planet. CLASS includes a number of researchers at UCF and the Florida Space Institute housed at UCF who conduct cutting-edge space research on NASA missions such as Cassini, which is orbiting Saturn, and OSIRIS-Rex, a mission to sample a near-Earth asteroid. Scientists at UCF also work with commercial space companies helping make an economic impact on the community. Britt will lead the center, which also involves 15 lead researchers from UCF, Kennedy Space Center, other NASA Centers, and universities around the nation, in addition to 23 collaborating researchers from the United States and four other nations. The other groups named Tuesday are: Southwest Research Institute in Boulder, Colo., Johns Hopkins University Applied Physics Laboratory in Laurel, Md., Stony Brook University in New York., NASA’s Goddard Space Flight Center in Greenbelt, Md., NASA’s Ames Research Center in Moffett Field, Calif., University of Colorado in Boulder, Colo., the Lunar and Planetary Institute in Houston, and Brown University in Providence, R.I.
For NASA’s official release click here.